Kurt Zdesar and Jordan Sclare, of Chotto Matte fame, have teamed up again in creating Bouillabaisse set in the heart of Mayfair, Central London. Travelling the globe to research the best coastal cuisine, Bouillabaisse offers exquisite seafood dishes with only the best sustainable and freshly sourced fish. With such a high standard of cuisine, it was considered very important to offer an extensive wine by the glass program, so dining customers can experience the best wine matched for each dish rather than having to share the same bottle across a variety of foods. 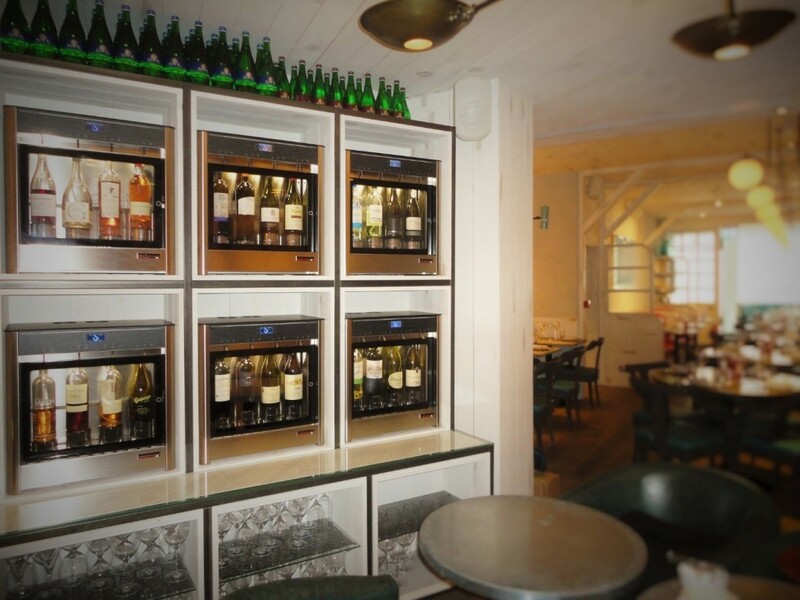 WineEmotion UK were asked to work with the Bouillabaisse team to create a wine dispensing and preservation system that offers 24 premium wines by the glass, with the flexibility of offering tastes to customers as well as pre-determined measures. We supplied 6 of our Quattro models and worked close with the designer in creating a beautiful bespoke display to site the dispense system within the restaurant’s bar area. Using argon gas and compressed air, the Quattro wine dispensers offer a staffed system for the restaurant team to offer the extensive wine list to customers with the wines always served in perfect condition and with minimal effort. Each dispenser offers a small and larger glass of each wine and also has the feature for open pour – this allows customers to be offered a taste of wine prior to selecting a glass or bottle. Normally an operator would not have this option as it would mean having to open the bottle. With the WineEmotion system using argon gas, the wines are preserved for up to 30 days once opened; this ensures wine wastage and wine spoilage is always minimal for the operator but still allows them to offer wines to taste with minimum of fuss. The result of the great design and flexibility of the WineEmotion is a superb by the glass program on offer in one of London’s leading eateries. For a great experience of coastal cuisine paired with the wonderful natural wines on offer, a visit to Bouillabaisse is a must for diners wanting to experience only the best in London. If you would like to learn more about our products and request a call back, please complete the details below.